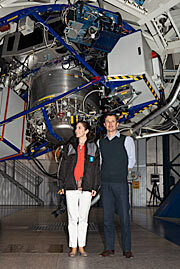 On 14 March 2013 His Royal Highness The Crown Prince of Denmark, accompanied by his wife, Her Royal Highness The Crown Princess, visited ESO’s Paranal Observatory, as part of an official visit to Chile. They were taken on a tour of ESO’s world-leading astronomical facilities on Paranal by ESO’s Director General, Tim de Zeeuw. 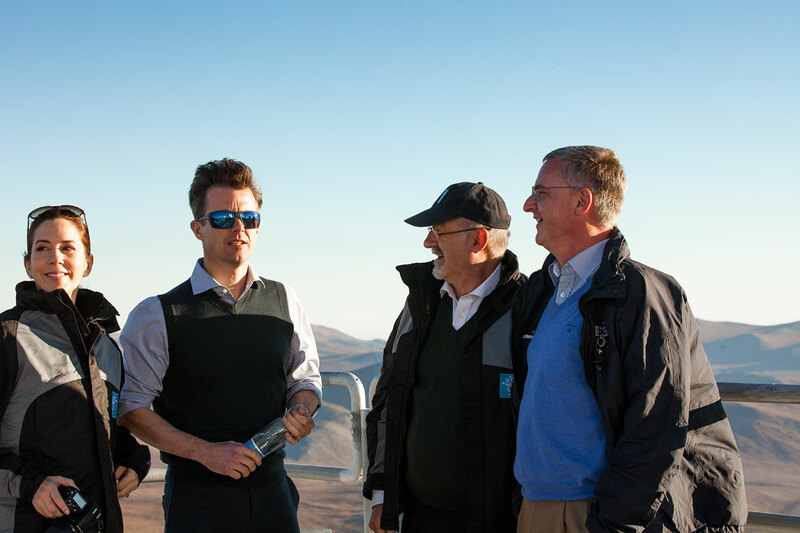 The Crown Prince Couple of Denmark visited ESO’s Paranal Observatory during their official visit to Chile. The Observatory is located 130 kilometres south of Antofagasta, in the heart of Chile’s Atacama Desert, the driest desert in the world. At a height of 2635 metres above sea level, Paranal is the site of the Very Large Telescope (VLT), the world’s most advanced optical instrument dedicated to astronomical research. On arrival, The Crown Prince Frederik and The Crown Princess Mary were welcomed by ESO’s Director General, Tim de Zeeuw, who introduced them to ESO’s cutting-edge research. 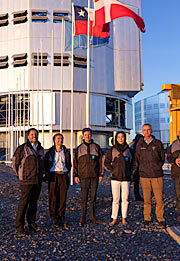 Their Royal Highnesses, accompanied by Danish Foreign Minister Villy Søvndal and Danish ambassador in Chile Lars Steen Nielsen, then toured the facilities, first discovering Paranal’s award-winning Residencia which houses the staff on location, and then going on to visit the telescopes themselves, at the summit of Cerro Paranal. 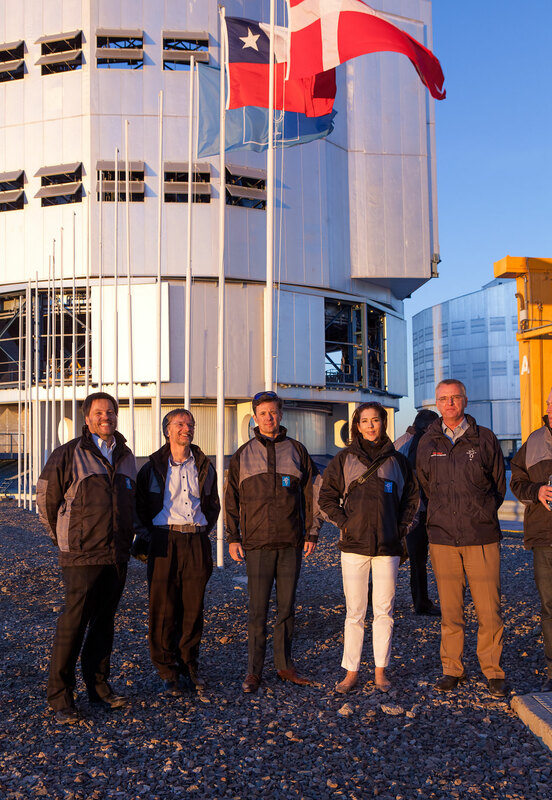 From the platform where the telescopes are located they watched Paranal’s famous sunset, a special tradition for staff on duty before starting their night shift. 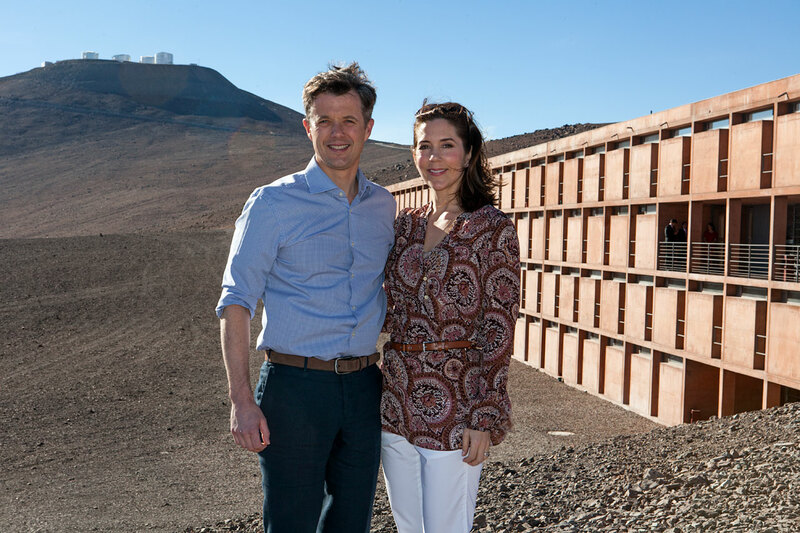 The Director General added: “We are very honoured to receive the Crown Prince Couple here on Paranal and to introduce them to our work. Denmark is a valued and long-standing Member State and I take this opportunity to thank the Prince and Princess on behalf of ESO for the continued strong support for our programme from Denmark. I am particularly pleased that this visit coincides with Denmark taking a key step towards joining the European Extremely Large Telescope programme”. 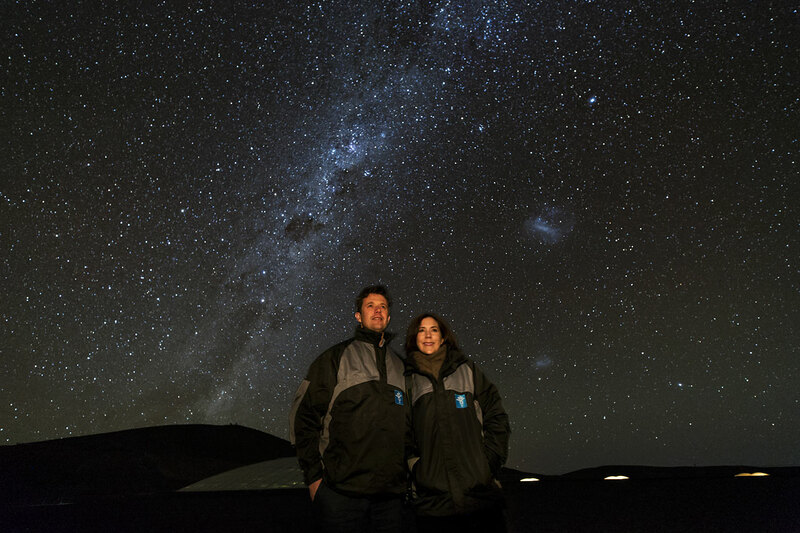 The couple spent the night at Paranal and after dinner they went outside to enjoy the stellar Paranal skies through a 50-cm hobby telescope set up by ESO optical engineer Stephane Guisard. Two Danes, ESO’s Senior Advisor for International Relations, Claus Madsen, and the Head of education and Public Outreach, Lars Lindberg Christensen, presented the Royal Couple with signed copies of the two books they authored for ESO’s 50th anniversary. Denmark was the first country to join the original five founding Member States of ESO (Belgium, France, Germany, the Netherlands and Sweden) in 1967, and has since contributed to major discoveries at ESO (see Danish involvement in ESO).